Don't you just love the 4th of July? 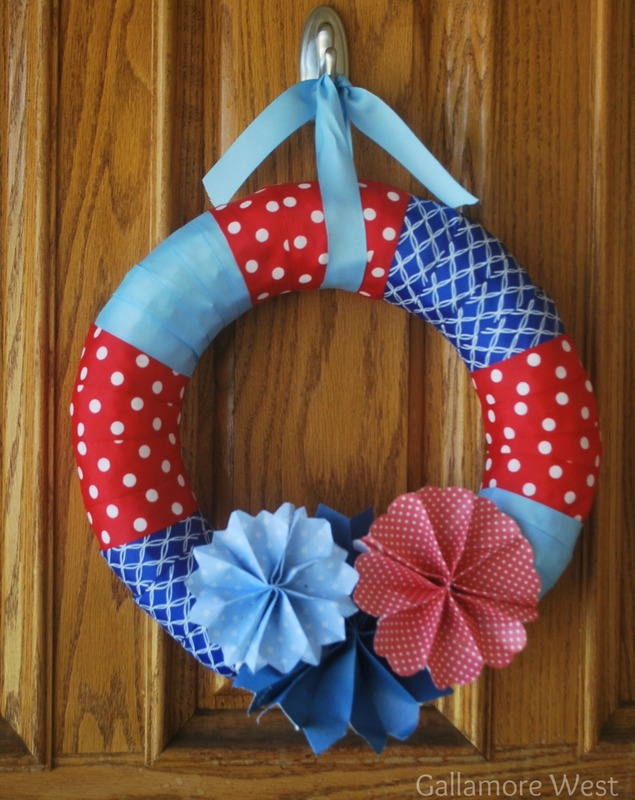 It's my favorite holiday of the year, and I love seeing homes decked out in red, white, and blue. I'm definitely a proud patriot. And I'm also a decorator on a budget. 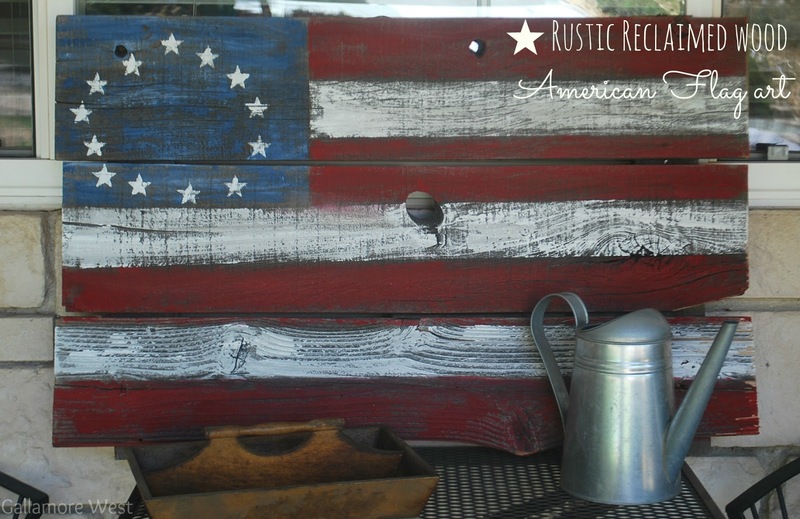 After seeing some amazing big rustic flags in some of my favorite catalogs that I scour for inspiration, and having gotten my hands on a ton of gorgeous old wood recently, I had a light bulb moment and knew exactly what to make with that wood. I love the rustic look of the uneven paint with the character of the wood coming through, so I thought it was fitting to go truly old school and make it a 13 colony flag. And because I wanted her to really stand out from a distance, I went with thicker, chunkier stripes. She has already taken over the porch that my Vintage Scooter had just gotten cozy in. But normally I struggle to find good summery porch decorations, so now I'm thrilled to have decorations fighting over the prime front porch real estate. I shared a sneak peak of her on Instagram last week. Are you on Instagram? I looooove it & post a lot of fun pictures there. I'd love to have you follow Gallamore West on Instagram if you're not already. Also on our front porch is my wreath I made at the Coffee & Crafting Pinterest Party I hosted a couple of weeks ago. 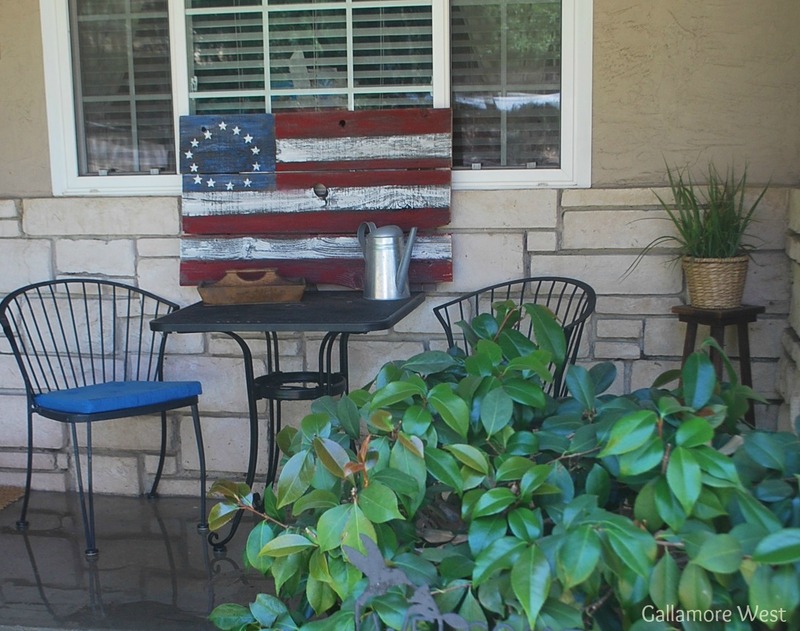 Do you have special traditions for the 4th of July?